HomeCoffeeWhat’s the Difference Between Coffee and Espresso? Some questions may feel embarrassing to ask. 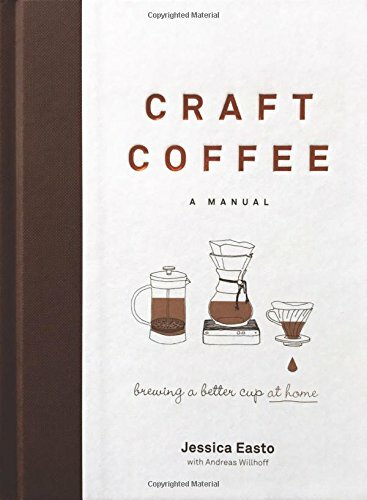 Yes, you’re a coffee aficionado, but you may have learned a term before fully understanding the meaning behind it. There’s no harm in that, and we’re here to tell you there are no embarrassing questions when it comes to coffee. So just what is the difference between coffee and espresso? Yes, because coffee is the liquid extracted from the bean, not the preparation. You can get a good cup of espresso through a specific preparation of robusta or arabica coffee beans. Think about all the different ways you prepare coffee. There’s French press coffee, pour over coffee, stovetop percolator coffee, and more. So all espresso is coffee, but not all coffee is espresso. Espresso isn’t a different coffee bean, although roasters may have a special process for beans destined to become espresso. In fact, roasters may prefer to use high-quality robusta beans to add an extra kick of caffeine. When it comes down to it, the preparation of espresso is what really sets it apart. Other methods of brewing take time, because they rely on the slow filtering of hot water through your grounds. This means several minutes between you and a fresh cup of coffee. 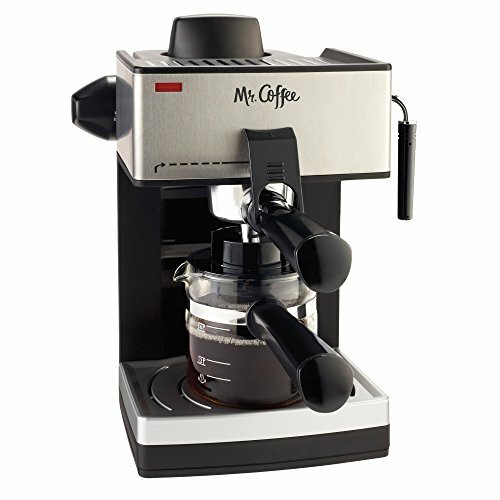 Espresso machines If you click this link and make a purchase, we earn a commission at no additional cost to you. pressurize and shoot near-boiling water through finely ground coffee beans packed into cakes. This method gives you a complex, aromatic, and caffeine-packed shot of coffee in under thirty seconds. how to make espresso without an espresso machine. Just remember it means extra work for you! 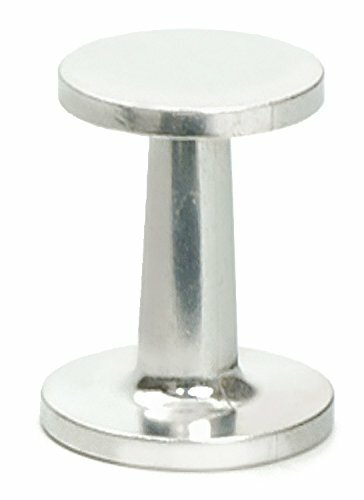 The lever of an espresso machine is the switch for pure coffee magic. Pressure is not just the cornerstone of quick brewing, it also helps develop the crema and disperse rich coffee oils into the final espresso shot. Filtered coffee relies on gravity to drive the water through the grounds to make your cup of joe. If you’re using a Moka pot If you click this link and make a purchase, we earn a commission at no additional cost to you. 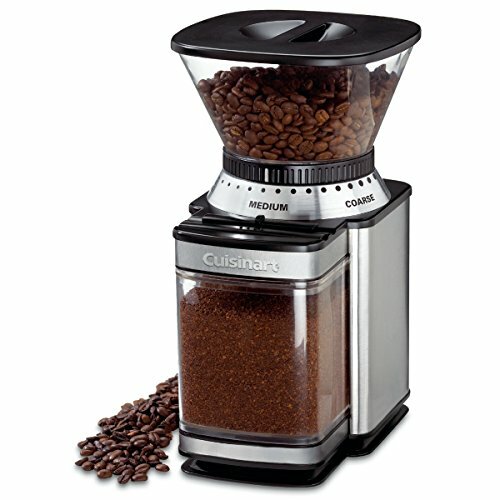 or even a French press If you click this link and make a purchase, we earn a commission at no additional cost to you. , the actual pressure applied on the water and coffee are negligible when you measure in atmospheric bars. 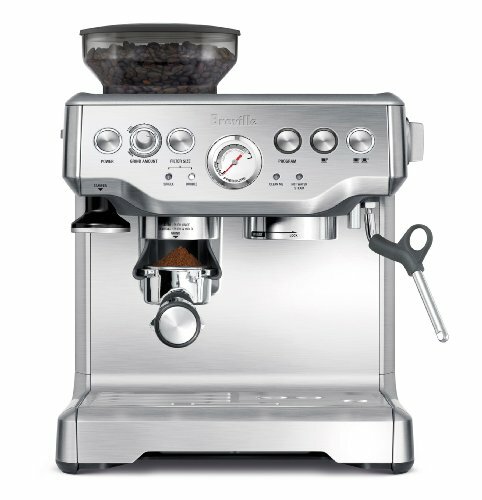 Many espresso machines default to nine bars, which is roughly equivalent to 130 pounds per square inch (psi). To put that figure in perspective, you would need to dive nearly 300 feet deep in the ocean to experience optimal espresso pressure. It’s a ton of pressure and explains why espresso brews so strong so quickly. After pressure, the size of the coffee grounds are paramount. We generally recommend fresh, medium ground beans when brewing your coffee with a drip filter or percolator If you click this link and make a purchase, we earn a commission at no additional cost to you. .
During a regular brew, coarser grounds strike a balance between releasing delicious coffee flavors without wasting or dissolving the particles—too much saturation in the grind makes coffee more bitter. But espresso is different. The properties of the coffee cake, also called the coffee bed, determine how well the espresso is extracted. The smaller grind exposes more surface area of the beans to water. This means more efficient brewing through the short infusion process. Of course, grounds that are too fine can clog or slow the brew. That’s because the coffee bed swells when it’s exposed to water, thanks to pressure and insoluble sugar-based carbohydrates developed during the roast. So it’s a fine balance between small and medium grounds when you’re brewing espresso. If you’re Italian or have spent time at an espresso bar (yes, they exist! ), you know what an espresso shot looks like. Traditionally, this dark brew is served an unassuming china cup which can fit barely 50 milliliters (about 1.6 ounces). Properly prepared, it’s topped with a thick layer of brown, bubbly crema, or the holy grail of coffee foam. More delicate coffee oils blend with the hot water. The exposure to pressure degasses the bean, which means carbon dioxide trapped from the roasting process escapes. Bicarbonate ions in the water undergo a chemical reaction from the sudden exposure to and evolving pH of the coffee cake. The sudden change from a high-pressure environment (the machine) to a low-pressure environment (the cup) allows the carbon dioxide to break through the espresso cell walls and bubble. All these forces come together to create the top layer of the espresso shot. 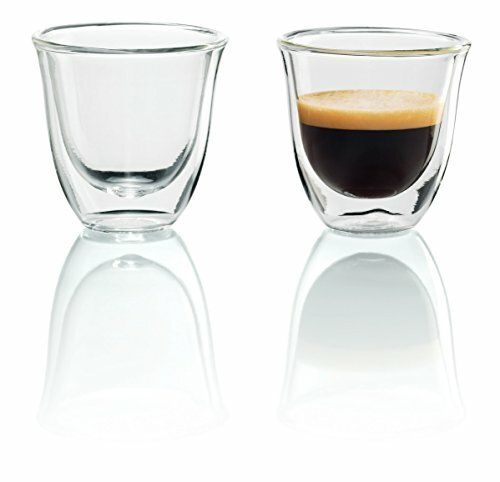 Generally, the crema can hang around for about 40 minutes … assuming your shot lasts that long. After all, espresso is Italian for expressed, as in this espresso was made for the express purpose of you drinking it as quickly as possible. 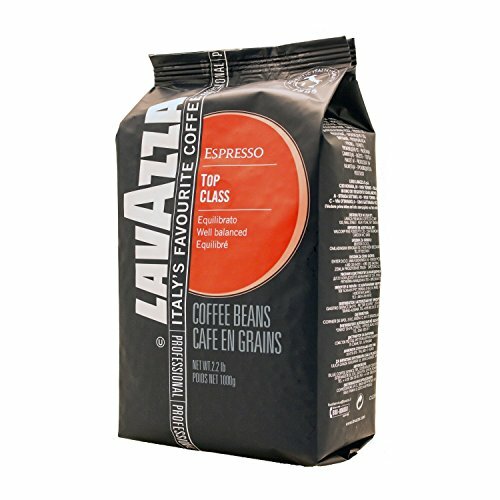 When brewed properly, the actual espresso under the crema will have a unique, rich taste, velvety mouthfeel, and aromatic scent. The shorter period of water exposure draws out less acid than other brewing methods while still retaining 60% to 70% of the caffeine in the final cup. So even though espresso takes only 30 seconds to brew, it still provides a significant amount of caffeine. The process also preserves more volatile and aromatic coffee oils that you won’t find in your regular cup of coffee. If you’re really interested in the culture and flavors of espresso, there’s no substitute for a barista who knows what they’re doing. Brewing espresso is as much of an art as it is a science, even with machines that can accurately apply pressure to perfectly heated water. You can achieve great espresso at home, but it’s always nice to know what you’re aiming for. Visit your local coffee shop or a skilled barista to experience the difference a practiced espresso brewer makes. Aside from a straight shot, a number of coffee styles rely on the addition of espresso. Most of them are Italian—which is no surprise since it’s the birthplace of the espresso machine. In addition to your regular shot, baristas throughout the twentieth century developed other, often more caffeinated ways, to enjoy espresso. Doppio: Basically a double shot, this drink contains 60 ml—or two ounces—of espresso. Ristretto: This drink isn’t a triple shot as the name might suggest. It’s made up concentrated espresso weighing just under an ounce. Lungo: Like doppio, this drink contains two ounces of espresso. Unlike the doppio, it’s more concentrated. Macchiato: It’s not the giant coffee house drink you may be picturing. The classic version is two ounces of espresso with a dash of foamed milk. Café Noisette: This double shot is a blend of two ounces of espresso and one ounce of steamed milk. Outside of shots, you also have a variety of familiar and creative beverages based on espresso. Cappuccino: This beloved drink is two ounces of espresso topped with another two ounces of steamed milk and finished with two ounces of foamed milk. Dry Cappuccino: Like a cappuccino, the dry version has equal parts espresso and foamed milk. It just leaves off the steamed milk at the end. Americano: Still not your regular drip coffee If you click this link and make a purchase, we earn a commission at no additional cost to you. , this beverage is two ounces of espresso mixed with three ounces of hot water. Affogato: This coffee is more like dessert than a morning drink. It’s made with two ounces of espresso and three ounces of vanilla ice cream. Breve: Rich and creamy, breve is a blend of two shots of espresso and three shots of half and half. Mocha: The perfect cure for a chocolate craving, this beverage is 60 ml of espresso, 50 ml of chocolate, and 30 ml of steamed milk. Café Con Hielo: This is the iced coffee version of espresso. It’s simply 50 ml of espresso served over ice. Con Panna: Another dessert espresso, con panna is made with two ounces of espresso topped with three ounces of whipped cream. Flat White: With two ounces of espresso to four ounces of steamed milk If you click this link and make a purchase, we earn a commission at no additional cost to you. , this drink may be a little more palatable if you’re not a fan of strong coffee flavor. Latte: This beverage is a blend of two ounces of espresso and ten ounces of steamed milk. It’s topped with the tiniest hint—about 2 ml—of foamed milk. Chain coffee shops may offer you espresso drinks, but these blends are the classic—and to be frank, not as sugary—ways to experience this delicious coffee. There’s nothing quite like living a century-old coffee tradition. 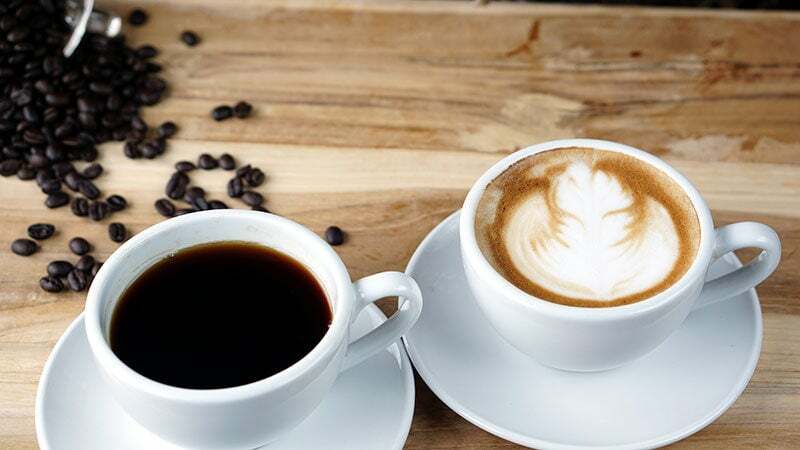 Now you know the big difference between coffee and espresso, you’re ready to dive into the rich and wonderful varieties of this specialty brew. Go out and explore your local espresso offerings—if you’re lucky, you’ll find an Italian-style espresso bar near you. If nothing’s around, maybe now is the time to start experimenting.